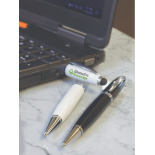 One of the best elements of flash drives & mouse mats is that they are very cheap to produce and can be distributed for free at trade shows and corporate events. As they are very handy computer tools they are very likely to be used when they are given to potential clients at these events. Flash drives & mouse mats are also great things to give to company employees to show that they are respected and appreciated. 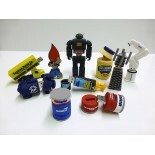 They can be great gifts since they can be customised in many different ways, even in novelty designs. There are numerous different flash drives & mouse mats available to purchase, and each form can be specifically customised for anybody's needs. 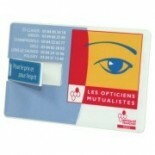 The customisation options include different colours, styles, shapes, materials and, of course, different brand printing. 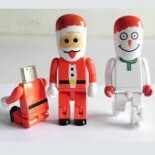 The types of flash drives include flash drive and pen sets, people shaped flash drives, wood and bamboo flash drives and standard flash drives. Each flash drive can also be ordered with different amounts of memory. There are many ways to market a business more effectively and using flash drives & mouse mats are just one way of raising awareness in a crowded marketplace. In today's digital world, it pays to combine the latest tech with the corporate message and companies that are serious about boosting their corporate image and having an edge over the competition should certainly consider purchasing custom designed flash drives & mouse mats. 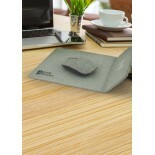 Flash drives & mouse mats can make great marketing products for businesses. 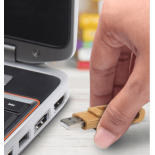 Almost everybody these days uses a computer on a daily basis and has a need for both of these products. By getting a company name or logo printed on flash drives & mouse mats businesses will be able to benefit from long term repeat advertising.